Jack Miller, my long-time teacher until he joined the other angels in heaven, taught us how to avoid the certainty of poverty. He also shared what he had learned from Warren Hardin: It’s inconvenient to be physically alive but financially dead! Another of my long-time teachers, Pete Fortunato, says that to avoid poverty, an investor/businessman must play both offense and defense. You play offense by building income, creating a surplus between what you bring in and what you spend, and by acquiring and controlling assets. You play defense by avoiding, limiting and eliminating expenses. I know it’s hard to save and even harder to cut expenses. After all, people deserve the 300-channel cable package they have for TV-watching. People deserve the fancy car they lease because they can’t afford to buy it. People deserve nice vacations though they’re paid for with credit card debt. Did you know that the average European saves 15%, but the average Chinese saves a whopping 50% of their annual income? On the other hand, Americans spend $1.10 of every $1.00 they make. No wonder our country is not just broke, but over twenty trillion dollars in debt! 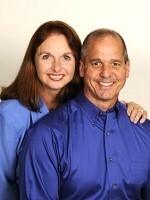 Know that Kim and I are not sin-free and preaching from the mount. Just this week Kim said, “I’m so sick of not having enough money to remodel our kitchen or go on a nice vacation!” Sure, our real estate holdings pay the bills, but it seems that every time we get ahead, we buy another property, or replace a couple of roofs, or do a $30,000 rehab, or have four rentals go vacant. It’s a case of here today, gone tomorrow! Here’s the thing: We’re spending our money on acquiring and maintaining capital assets. What we’re not doing is buying new cars, taking fancy vacations, and buying lots of meaningless trinkets. As the old saying goes: We’re living like most others won’t, so one day we’ll be able to live like most others can’t. You don’t need to be a Donald Trump to succeed at real estate investing. We’re proof that you can do no-need-for-genius deals, and still be able to retire wealthy. Think about this: If you owned fifteen free-and-clear, three-bedroom, two-bath, two-car-garage single-family homes in nice, convenient neighborhoods that rented for $900 per month, can you – today – retire comfortably? You’d be bringing in $13,500 each month. You’d lose $5,000 to expenses (taxes, insurance, vacancies, repairs and management). This means your monthly net would be $8,500. Could you make it on this? Folks, don’t borrow from banks and then blow that money on silly things. Remember what John Schaub, another great real estate investing teacher, said: “Bank” is the first word in “bankruptcy”! While it’s my goal to teach folks that it’s better to get mailbox money instead of laboring for your pay, it’s your job to show your kids how to avoid the certainty of poverty!